It wasn’t until the 1990s that graphic novels increased in popularity and acceptance as a literary expression, when Art Spielgelman’s Maus, a Holocaust survivor story, won the Pulitzer Prize in 1992 and Joe Sacco’s graphic journalism piece Palestine won the American Book Award in 1996. But, what exactly is a graphic novel? Goldsmith (2005) distinguishes graphic novels from comic books by stating that a graphic novel presents a story with a beginning and an end, “a story telling through sequential art.” This definition might not be very accurate given that some comic strips and comic books also fall into that description. An appropriate definition for graphic novels could be: a book-length fiction or non-fiction story that uses images in a sequence, and usually includes bubbles and text to support the story. Graphic novels are regularly labeled as a genre, but this is a format of literary expression that encompasses other genres, such as science fiction, horror, memoirs, biography, humor, and drama. Graphic novels have no boundaries when it comes to subject matter, they treat ALL: racism, war, relationships, gender and sexuality, health issues, cooking, media, environment and different political and social issues. My first experience with sequential art was through comic strips that were included every Sunday in the local newspaper. My dad would let my brother and I read Turey, el Taíno, a comic strip about a Taíno Indian and his adventures and misadventures. Later on, I continued reading comic strips such as Peanuts, Calvin and Hobbes, Mafalda and Inside Woody Allen (a serendipitous encounter while researching old newspapers at my university library: a strip about Woody Allen translated into Spanish!). Many of my adult friends and fellow comics fans always mention that their first experience reading the format was through superhero comics, but I didn’t have access to superhero comic books, because my parents, family members, classmates and neighbors weren’t into them when I was little kid. It wasn’t until my initial years in college that I started reading comic books such as Birds of Prey, Strangers in Paradise, and my first superhero graphic novel, Batman: The Killing Joke. I was able to explore the effect graphic novels had on my students and myself when I started working as a librarian at an elementary school. While working, I would take breaks from my grad school readings and non-fiction books to read Alison Bechdel’s Fun Home: A Family Tragicomic, Craig Thompson’s Blankets, Chris Ware’s Jimmy Corrigan, the Smartest Kid on Earth and Jessica Abel’s La Perdida. With these books I found myself following the memories of these authors and engaging myself in their stories through images, words, and the colors and patterns they chose. Suddenly I found myself empathizing with their feelings. But wait, aren’t comics supposed to be silly and funny? There are certainly good, silly and funny graphic novels out there, but I have come across stories that stay in your head longer because of the emotional ride they put you through. Then I encountered Joe Sacco’s The Fixer: A Story From Sarajevo and Marjane Satrapi’s Persepolis, and I was able to see how war and political issues could be expressed through panels, bubbles, and images—then immigrant issues and the “hyphenated life” through the works of the Hernández brothers and Gene Luen Yang. Suddenly, graphic novels were able to provide me a platform where I could not only practice reading in English, but also encounter people’s experiences, stories and topics that I knew only from a distance. This really made me appreciate their literary and artistic value, as well as the ability of the writers and illustrators to capture everyday issues in their work with great liberty and bravado. 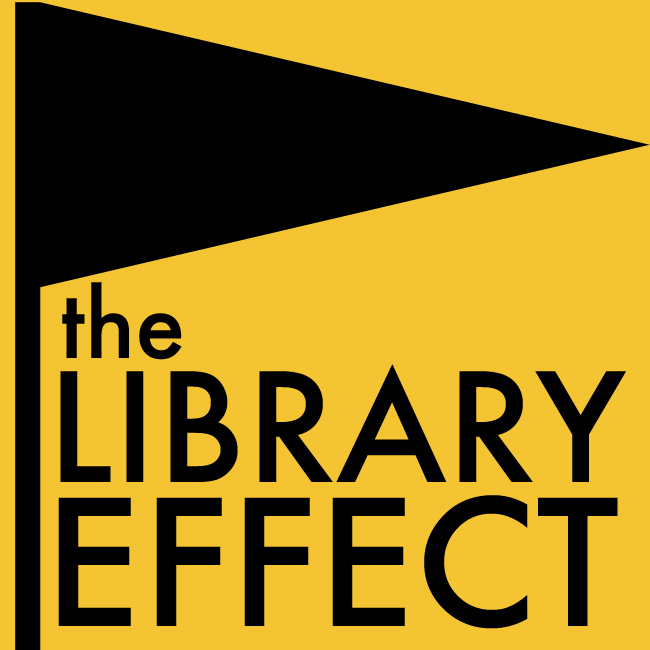 As for the effect graphic novels had on my elementary school students, I noticed how students who didn’t like to read, or were simply spending leisure time at the library, used to sit near the graphic novel section immersed in Amulet, Diary of a Wimpy Kid, Bone or Big Nate in English and in Spanish. I noticed they would come to me asking for more “comics,” even some Puerto Rican issues they had seen at book fairs, bookstores or supermarkets. This demand drove me to develop a strong graphic novel and comic collection at the library with the support of donations, book fairs and a local children’s bookstore. A Uruguayan publisher began to offer Spanish-language graphic novel adaptation of literary classics such as Frankenstein, The War of the Worlds, The Time Machine and Strange Case of Dr. Jekyll and Mr. Hyde, providing students the opportunity to read these works for the first time. Parents, grandparents and tutors would ask where to acquire such titles, because they were fond of seeing their child reading voraciously. In many ways, the library became the gateway to an exploration and better understanding of graphic novels as leisure reading. That understanding would later become expansive when teachers began to incorporate graphic novels as part of their curricula. The outcome of being exposed to graphic novels was that some students were able to relate to the stories they were reading and it inspired them to write and draw their own stories. Interestingly enough, my experience serves as confirmation for a general trend in the United States and some places around the world where graphic novels are earning more respect and sneaking into our everyday lives, especially in libraries. The demand for graphic novels and their increasing popularity prompted libraries to add them into their collections. Graphic novels found a place in academic libraries when scholars and students started using them as the subjects of their researches and academic programs. As a matter of fact, the presence of graphic novel collections in academic libraries covers the recreational and academic needs of the scholarly community. As for public and school libraries, they began to develop core collections and adopt graphic novels as part of their book club selections and school curricula. Titles such as Ben Hatke’s Zita the Spacegirl, Emmanuel Guibert’s Sardine in Outer Space, Jarrett J. Krosoczka’s Lunch Lady series, Raina Telgemeier’s Drama and Barry Deutsch’s Hereville series have been incorporated in elementary and middle schools reading lists. Their dialogues, everyday situations, adventures and characters provide students ways to enjoy and place themselves in the story, while constructing meaning, learning vocabulary and following ideas through text and images. Librarians and teachers saw the opportunity to use graphic novels to support and enhance language and content learning with English-language learners and adults with low literacy, as well as, to foster critical thinking in the classroom. High school teachers recognized their potential to facilitate comprehension and help students become more engaged in social, historical and political issues. With titles like Larry Gonick’s The Cartoon History of the Modern World, Joe Sacco’s Palestine, Marguerite Abouet’s Aya series, Katherine Arnoldi’s The Amazing True Story of a Teenage Single Mom, Derf Backderf’s My Friend Dahmer, Brian Fies’ Mom’s Cancer and Judd Winick’s Pedro and Me: Friendship, Loss, and What I Learned, students are able to discuss topics that resonate with their lives, their experiences and their surroundings. The opportunity to find an image, an expression or a sequence of panels that speak to you, that would make you understand or that will help you make sense and critique our everyday lives. Graphic novels can serve to enhance your reading experience, while simultaneously challenging the traditional literacy education. It is through their visual support, patterns and palettes that we can understand and appreciate them as art, and how these elements work alongside the text to construct a parallel story. Reading graphic novels provides an opportunity to feel joy or sadness, while at the same time stimulating learning and critique skills that can help everybody achieve a better understanding of relevant issues. Goldsmith, F. (2005). Graphic novels now: building, managing, and marketing a dynamic collection. Chicago: American Library Association. Sujei Lugo is a Puerto Rican living in Somerville, Massachusetts interested in films, comics and zines, Latin American and Latino children’s literature, social justice issues and public service. She is a former elementary school librarian and reference and serials librarian at the Puerto Rican Collection of the University of Puerto Rico. Sujei is currently working on her Ph.D. in Library and Information Science at Simmons College Graduate School of Library and Information Science, focusing on collection development issues in interdisciplinary fields and Latino Studies. Do you have a story to tell about a type of media or form of expression? Submit your story idea via the Submissions page and let’s talk about it. This entry was posted in Arts, Literacy, Winter 2014 and tagged comics, graphic novels. Bookmark the permalink.